This Tactical Duffle Bag is constructed with high quality 600 Denier material, heavy oversized zippers and tabs. Lockable main compartment with great storage space allows you to secure your personal items no matter where you travel. Includes two side compartments for seperation of additional gear. 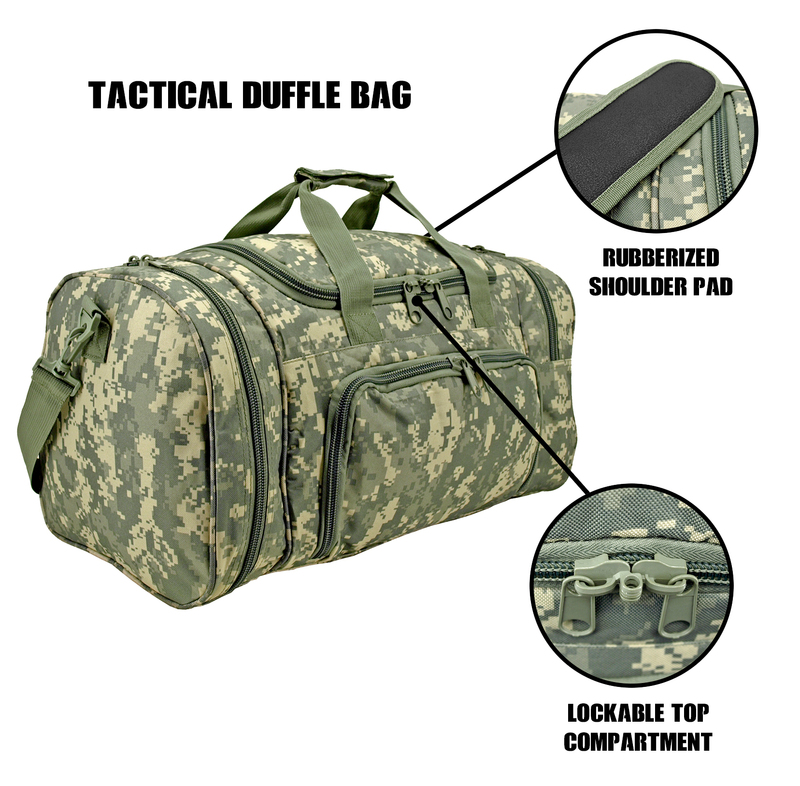 This tactical duffle bag also features a smaller front pocket to allow for the organization and storage of smaller items. Additional shoulder carry strap with padding included! (L x W x H) 18.75" x 13.50" x 2.75"